Founded by sister team Elisa and Lourdes (Lulu) Bennaton, The Ministry derives its inspiration from the sister’s roots in Honduras and Guatemala. These two women are so excited to share their heritage through their passion of coffee and wine in an environment that encourages conversations, engagement, and community. Motivated by the common experience found worldwide of enjoying moments around the table, Elisa decided to create that place for all those who have journeyed from afar but currently call DC home. Their love of community does not end at The Ministry, they love supporting other small businesses and local artists in the DC area. In fact, they have already established a partnership with District Mugs, an organization that assists our neighbors experiencing homelessness to create and sell art. 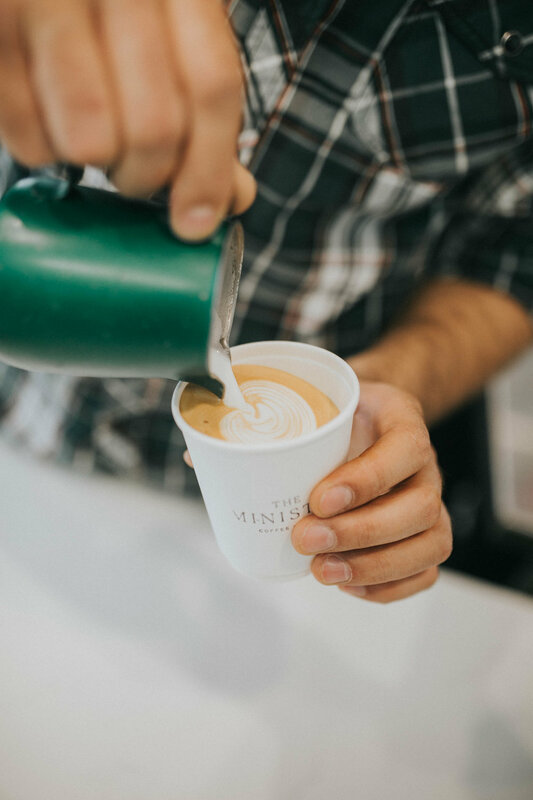 Just off Union Station, this coffee shop is famous for its coffee, food, and wine and we absolutely love working with them! Need a place to work or get a drink with friends after work? This place is for you! Mar 5 Introducing: Strategy Kits!